Creatures of land, water, and sky are featured here in short poems for early readers. Noted poet and educator Georgia Heard writes about baboons and bears, eagles and bats, dragonflies and frogs. Naturalist and illustrator Jennifer Dewey captures each animal in dramatic detail. The book is written and illustrated with a reverence for the natural world and for wildlife and will find an audience not only in children but in nature-lovers of all ages. Georgia Heard has participated in Columbia University's Teachers College Writing Project, teaching writing to elementary school children within the New York City Public School System. She is the author of For the Good of the Earth and Sun, a book for educators on teaching poetry to children. She lives in Sag Harbor, New York. 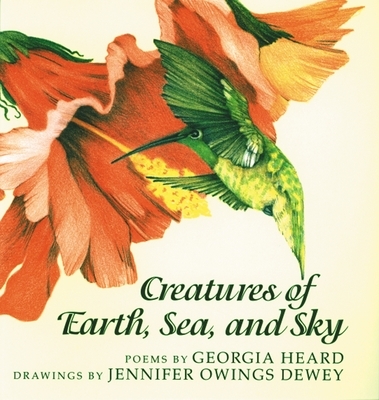 Jennifer Owings Dewey has illustrated more than twelve books for children and adults, including Animal Architecture and The Secret Language of Snow. She lives in Santa Fe, New Mexico.